no reason why you can’t have the perfectly beautiful, natural-looking smile you’ve always wanted. We emphasize the aesthetic aspect in ALL our work because we know that when your smile looks good, you feel good! We use the best combination of preventive care, tooth-colored fillings, and restorative techniques for optimum dental health. Ask us what veneers, crowns, bonding, and whitening can do for YOUR smile! 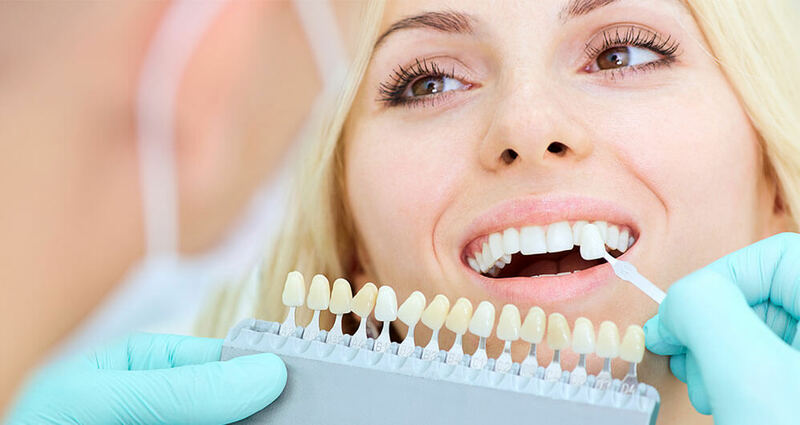 Despite the shortcomings of metal fillings, the biggest reason many of our patients are choosing the white bonded fillings is the way they look. Many people just don’t want an ugly black plug in their teeth. We offer modern restorations that are a natural-looking white, contain no metals, and can actually strengthen your teeth. They also bond very tightly with the healthy part of the tooth so there is much less chance of decay in the future. Dental implants are the ideal way to replace lost teeth. The “tooth” placed on an implant appears life-like, because it comes through the gums just like the original did – it’s like growing a new tooth! Implants can be used to replace any number of lost teeth. Makeover your smile in as little as two visits! If you have misshapen teeth, unsightly gaps, or deep discoloration, our custom porcelain veneers may be the answer. These are thin porcelain coverings that fit over and are bonded to your teeth, look natural, and are made from the most advanced dental ceramic available.